Show your support for efforts to make schools and communities welcoming and inclusive for all, across the gender spectrum. 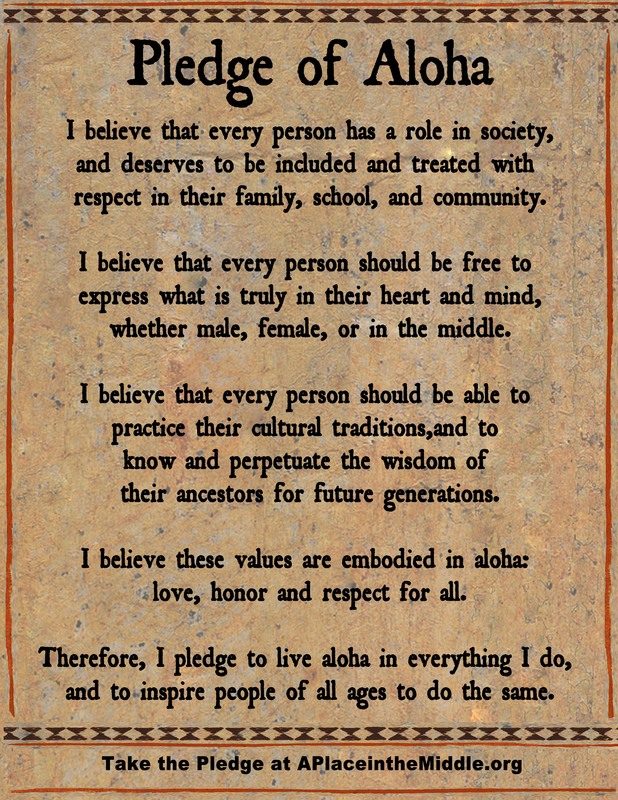 Click on the image above to download an 8.5 x 11 Pledge of Aloha poster that can be printed out and displayed to demonstrate your commitment. 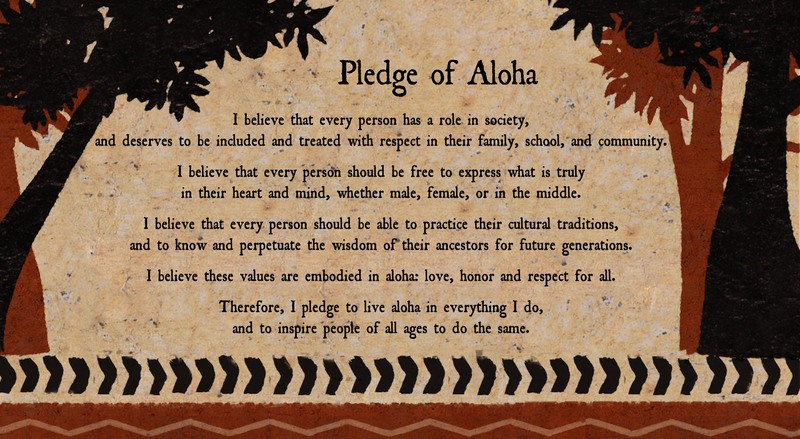 And join us on Facebook and Twitter to help spread the #PledgeofAloha as far and wide as possible.